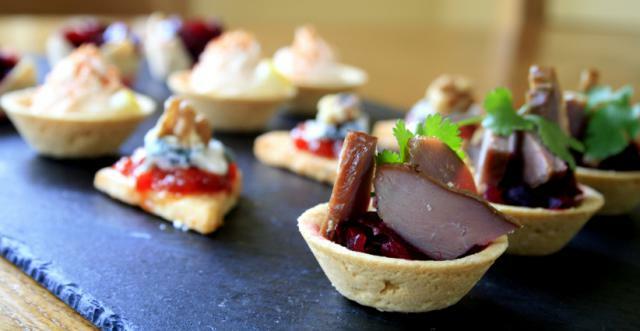 Decadent Catering is a privately owned specialist catering company based in central Leicester providing catering across the city and into the Midlands. We provide not just Champagne and Canapés but everything from one platter through to a complete banquet on time, every time. Decadent Catering provides high quality food made daily from fresh produce using only the finest ingredients, presented and packaged so they make an instant positive impression on people. For staff or customers, our exceptional food makes an amazing impact for your company or for special occasions, product launches, parties and celebrations through to conferences and major corporate events. Decadent catering prepares all our food fresh every day, ensuring its quality and presentation never fall below our high standards. We offer our FREE LOCAL DELIVERIES for platters and buffets within an 8 MILE RADIUS of the city centre.